In no uncertain terms, Online Orders Now offers restaurant owners the ability to increase order volume, market penetration, and receive higher average ticket amounts, while at the same time lowering net costs. We do this by seamlessly integrating with the POS system you already have while providing flexible options to help increase profitability without sacrificing efficiency. Sound too good to be true? It’s not. And we’ll put our money where our mouth is with a $20,000 Exclusive Revenue Guarantee, stipulating that you’ll earn $20,000 in the first 12 months or $60,000 in the first two years. Otherwise, we’ll cut your monthly fee in half, keeping it that way until you do reach those numbers in the given time-frame. We’ll speak more about pricing and ROI later on in today’s post. But before we get too far ahead of ourselves, we’d like to explain what exactly we offer in terms of products and solutions along with the wealth of features and benefits our online ordering software provides restaurants of many kinds. If you are interested in adding an additional revenue stream that intuitively coincides with your current processes, there’s a lot to like about Online Orders Now. So read on! For owners who are in need of mobile ordering apps for restaurants, seamless place-of-sale integration, or even a modernized website to get you out of the HTML-stone age, Online Orders provides all that and more. Coming onboard with us means you’ll quickly come to value how we blend an experienced customer service team with our pioneering food ordering system to capture the essence of your brand. Let’s get a bit more specific. Below we’ll highlight some of the most popular features our mobile food ordering software has to offer. POS Integration – One of the biggest differentiators Online Orders Now offers is that we can offer full, semi, and non-integrated options. With a range of POS partners that we have experience working with, including Aldelo, Maitre’D, rPower, and MicroSale, we are able to be your “invisible employee”, efficiently integrating with most every POS system that is commonly sued. Obviously, full-integration is preferable, as it ensures that all orders are captured by the POS and automatically print, in addition to credit card orders being able to be sent to your merchant processor. Even if there is an internet fail, we offer unlimited fax backup, text notification, along with admin and email back up options. Discounts, Combos, Special Offers & Packages – We’ve been discussing ways that restaurants can beat the summer slump in recent posts, and one of the best ways to do that is through offering special promotions. 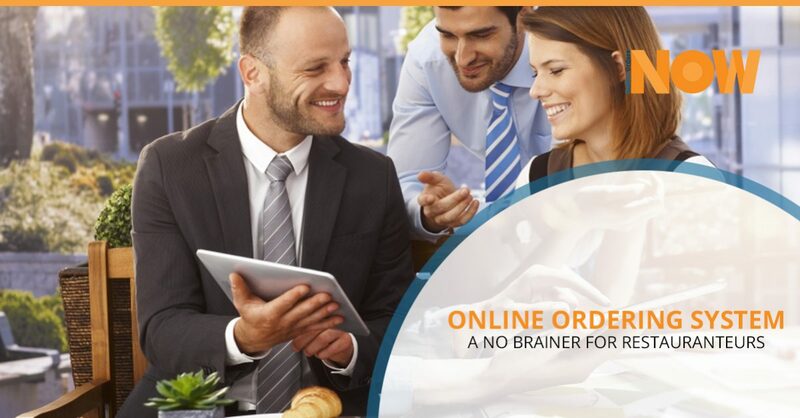 What’s more, extending those offers to your online ordering system is easily doable with Online Orders Now. With discounts, you can choose a dollar amount or percentage off the entire order — a feature that can be coded or require a minimum amount purchased before being activated. You can also manipulate it based on time and day, giving you more control than ever. Likewise, there are special packages, combos, and other custom offers you can easily set up using our software. We’ve made sure the process is intuitive so that you can spend less time finicking and more time running your restaurant! 30 percent Larger Tickets – It’s the desire of any restaurant to increase their average check size. Did you know that customers order about 30 percent more online than when they call in or order at the counter? This is simply because customers feel more at ease when ordering online. They can take their time to browse the whole menu and usually end up biting on a special offer or an add on. What’s more, there is a significantly reduced chance of order inaccuracy, because customers are filling out orders and confirming them for themselves, rather than talking to a host or hostess who is multitasking. Less room for error means happier customers more often than not. Capturing Marketing Data – Your online ordering software can lead to improved marketing efforts via capturing customer information that they provide during the checkout process. Name, address, and zip code are required fields, but you can include the customer’s email address if you have plans to launch an email marketing campaign as well. You can easily access all of this information in the Admin, or if you’d prefer it to be sent to you, just email us at CS@onlineordersnow.com and we’ll provide it to you in Excel format with no fuss! What’s more, if you elect to go with the fully-integrated POS system route, that means your menu is integrated and therefore customer data will automatically be pushed to your POS with each order. Custom Website & Mobile Web Apps – Our designers will work closely with you to build your custom website. Whether you’ve never had one or you just need a facelift, you’ll find everything we do revolves around an effort to lead to more orders and larger checks while capturing the essence of your brand. Our websites always include impressive features that include social networking links, image sliders, a Google Map widget for your location, Search Engine Optimization, embedded video functionality, social networking links, and a contact form. What’s more, we’ll build you a custom mobile web app (and an optimized mobile site) with your restaurant theme that includes the exact same features! Franchise Web & Mobile Web App – The final feature we’d like to highlight (and there are many more we haven’t had time to address) is an option that is available for an additional cost. For franchise restaurants who aren’t allowed to make their own web app or site, we’ll provide you with a landing page and a mobile web app before a customer starts the online ordering process. This means they can get information about your restaurant in particular, setting your location apart from the franchise itself. With unlimited transactions, first-time customers getting emailed, and an efficient notification system to boot, there’s no mistaking that there is a wide range of benefits restaurants of all kinds stand to gain from working with Online Orders Now. Even if you don’t choose the fully-integrated POS system option, you can always upgrade at a later time. Now, regarding pricing and ROI, you can find detailed information on the matter by following the link listed. We do want to point out that restaurants of all kinds experience tangible growth by adding an online ordering system to their revenue channels. Make no mistake about it, this is about adapting to the needs of the modern consumer, making it a necessity much more than a luxury. When you consider the fact that we are willing to provide you with a $20,000 Exclusive Revenue Guarantee, learning more about Online Orders Now looks like a no-brainer. Contact us today!